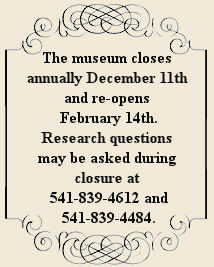 The members of the South Umpqua Historical Society wish to thank the South Umpqua Masonic Lodge No. 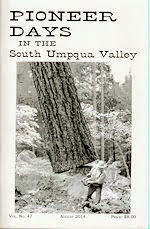 72 for their grant of $4800 to reprint two issues of Pioneer Days in the South Umpqua Valley, our annual historical booklet. We have only a few remaining copies of two of our books. 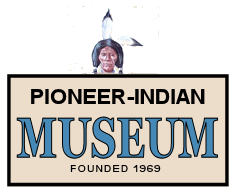 Reprinting these will allow us to continue to have copies available for visitors to the museum. 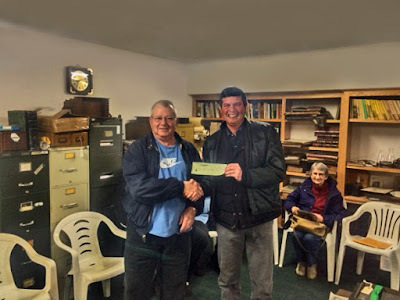 The presentation was made by members of Lodge No. 72, Jake Young, John Stephens, David Briggs and Troy Michaels, at the Historical Society Board meeting. Shown in photo are Troy Michaels, right, presenting the check to Roy Brogden, Vice President of the South Umpqua Historical Society. Also shown is Lillian Stevenson, board member. Photo was enhanced by Dave Lines.